Felt my skin has aged few years more after my vacation due to the sun and rain, and of course oily & spicy food of Yunnan. Despite the east side of Yunnan has beautiful landscapes and scenery, getting used to every spicy meal is still a challenge for me and it has taken a toll on me through my skin. Acnes, dull looking skin and much tanned than before. 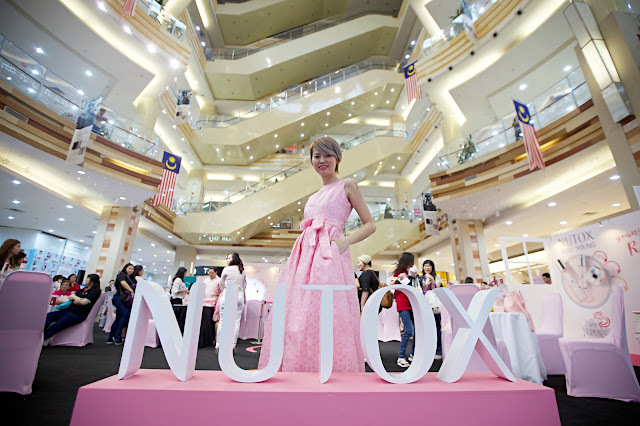 Luckily just right before departing to Yunnan, I got a new set of skincare products from Nutox Malaysia: the all new Nutox Renewing Treatment! Nutox got it all covered for keeping my skin young and vital! After putting these on my face ever since I came back from my trip, I noticed the speedy recovery of my dull and tanned looking skin and now I'm able to put on my foundation without having people thought I'm putting a mask on my face lolololol. This whole set of renewing treatment has treated my skin and renewed it to let me regain back my younger looking skin. Nancy Wu looked much more pretty in real life! Her photos don't do her justice at all! With NUTOX's latest skincare technology - LumiNes, Renewing Treatment skincare series buff and lift away dead skin cells and impurities, letting my skin breathe and renew in much faster speed, breathing new life into my dull skin. This lotion is very lightweight and fast absorbance with a faint hint of fresh aroma, it moisturises my skin thoroughly and prep my skin for the next skincare regime. Restoring youth back to my skin is what this renewing treatment essence does best! With aforementioned LumiNes technology, this lightweight essence penetrate to the deeper layer of my skin and restore, improve my skin texture. I can see my skin's improvement using this day to day, radiates with glow even without makeup! Last step of my skincare regime with NUTOX Renewing Treatment series is this treatment cream. It smoothens out my skin, and provide nourishment from deep within to keep my skin looks moisturizes and glowy all the time. Non-greasy, easy absorbance, I can feel my skin is prepare to continue battling the hot weather of Malaysia too. 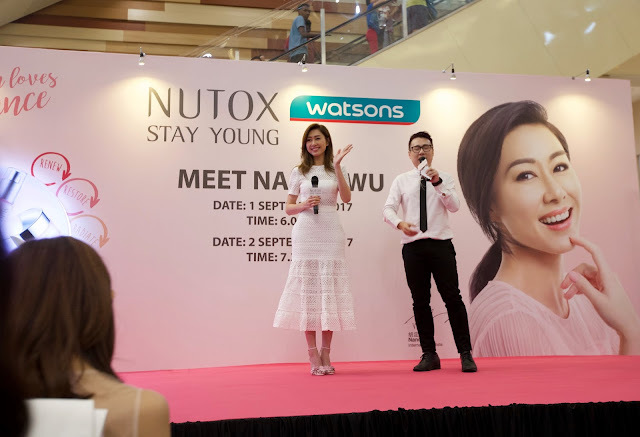 Thanks to NUTOX latest skincare - Renewing Treatment range, packed with LumiNes, I can have beautiful looking radiance skin like Nancy Wu! Woww Nutox is so magical.I mean i saw it really works.Thank you for sharing skin care treatment updates and i am also thinking to try it.You should write for essay on time as you are perfect at writing.